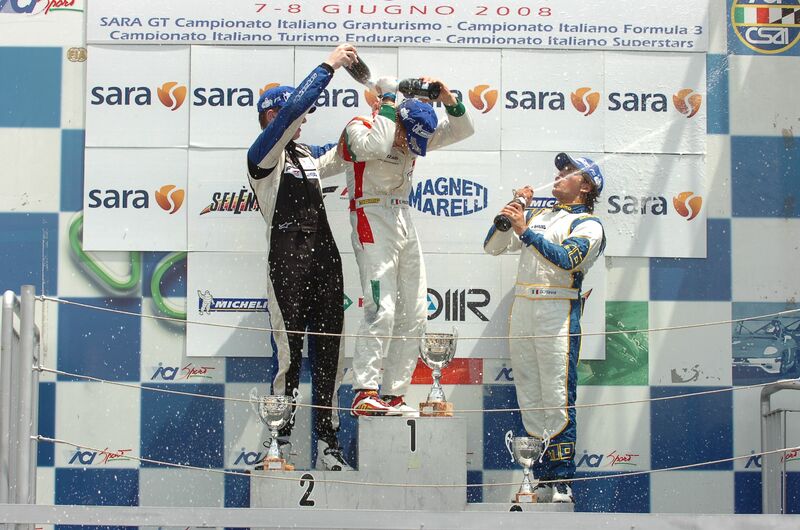 08/06/2008 - The Magione´s weekend, second round of the Formula 3 Italian Championship, concluded with the two drivers on the podium of each race. In qualifying, Mirko Bortolotti scored the second best time(1'06.908), followed by the team-mate Francesco Castellacci (1'07.278), positions confirmed under the chequered flag of race one, held yesterday afternoon. Eighth place in qualifying for Giovanni Nava (1'07.629), victim of an off track exit during the first race. Today, in the second manche, an accident involved several drivers among which Castellacci and forced the stop of the race during the first lap, when Bortolotti was holding the first position thanks to a good start. 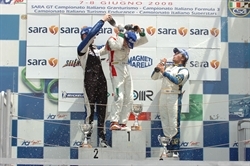 The second start did not turn out to be as favourable for the driver from Trento that concluded the race second again, preceding Giovanni Nava. The championship classification sees Bortolotti in second place with 27 points, 21 adrift from the leader Edoardo Piscopo. Nava is fourth with 16, while Castellacci holds the sixth place with 12 points. After collective tests scheduled for the 24-25 June at Monza, the Italian Formula 3 championship will be again on track next 6th of July at Monza for the third round of the season. "The outcome of our weekend is only partially positive. Our three single seaters could have concluded both races within the first four positions but two unfavourable episodes conditioned Nava´s race yesterday and Castellacci´s one today. This was just the second round of the season anyway and the points harvested here will surely turn out to be useful in the future." "The red flag unfortunately put me off from a good chance of victory. In the first start I managed to overtake Piscopo. In a circuit like Magione it would have relatively easy to keep the head. At the second start instead I lost some meters in the shift for the second gear and at that point it was impossible to try to overtake at the first corner. My race pace afterwards was practically equal to that of the leader but without any mistakes from him it was impossible to attempt an attack." "I could have possibly done a few tenths better in qualifying yesterday, but fortunately I managed to overtake Ciccareli and get the third place. This is my first podium in Formula 3 and, after the good performance at Mugello, it gives me some more enthusiasm to continue this new experience." "My race has been conditioned since the formation lap by some electrical problems that caused several time the switching off of the engine. I lost a lot of positions in the formation lap but I managed anyway to get to the grid. Alas, even at the getaway something did not work properly and I have been involved in an accident that put off other drivers too."